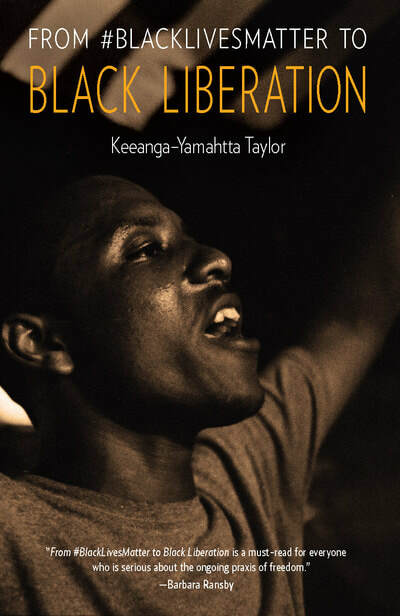 "Keeanga-Yamahtta Taylor's searching examination of the social, political and economic dimensions of the prevailing racial order offers important context for understanding the necessity of the emerging movement for black liberation." “From #BlackLivesMatter to Black Liberation is an essential read for anyone following the movement for Black Lives." ​Howard Zinn—activist, historian, and author of A People's History of the United States—was a participant in and chronicler of some of the landmark struggles for racial and economic justice in US history. In his memoir, You Can't Be Neutral on a Moving Train, Zinn reflects on more than thirty years of fighting for social change, from his teenage years as a laborer in Brooklyn to teaching at Spelman College, where he emerged in the civil rights movement as a powerful voice for justice. A former bombardier in World War II, he later became an outspoken antiwar activist, spirited protestor, and champion of civil disobedience. Throughout his life, Zinn was unwavering in his belief that "small acts, when multiplied by millions of people, can transform the world." With a foreword from activist and scholar Keeanga-Yamahtta Taylor, this revised edition will inspire a new generation of readers to believe that change is possible. Since his death on April 4, 1968, Martin Luther King's legacy has influenced generations of activism. Edited and with a lead essay by Brandon Terry, this volumeexplores what this legacy can and cannot do for activism in the present. King spent the months leading up to his death organizing demonstrations against the Vietnam War and planning the Poor People's Campaign, a “multiracial army of the poor” that would march on Washington in pursuit of economic justice. Thus the spring of 1968 represented a hopeful, albeit chaotic set of possibilities; King, along with countless other activists, offered both ethical and strategic solutions to the multifaceted problems of war, racism, and economic inequality. With a critical eye on both the past and present, this collection of essays explores that moment of promise, and how, in the fifty years since King's death, historical forces have shaped what we claim as a usable past in fighting the injustices of our time.